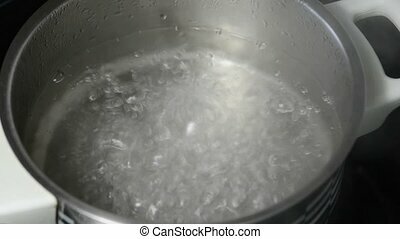 Boiling water in a pot bubbling over. 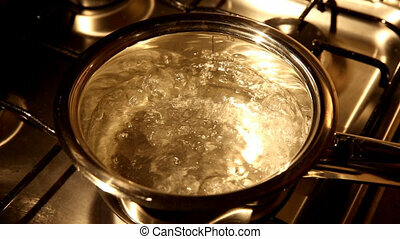 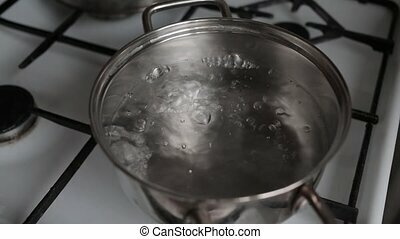 Water boiling in a saucepan. 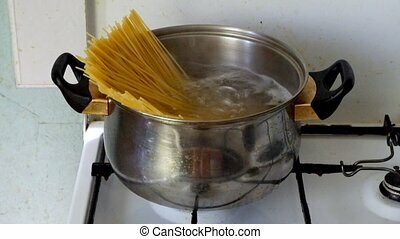 Spaghetti in a boiling water. 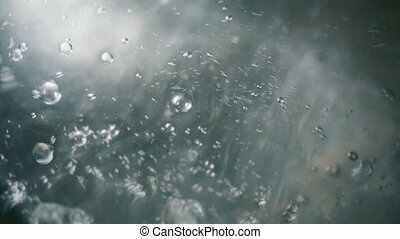 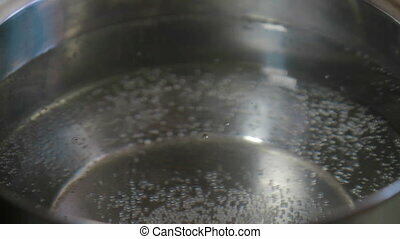 A view of water boiling in a stainless casserole with soft lights. 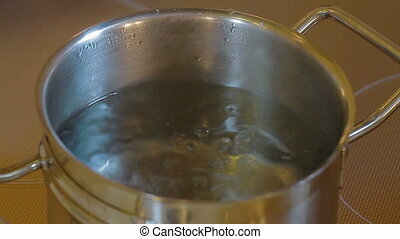 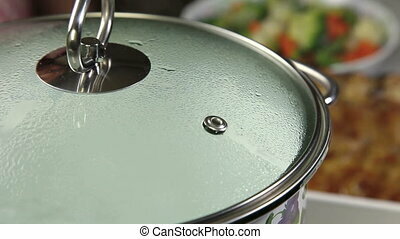 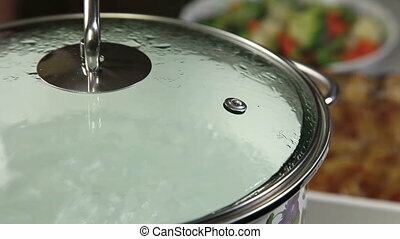 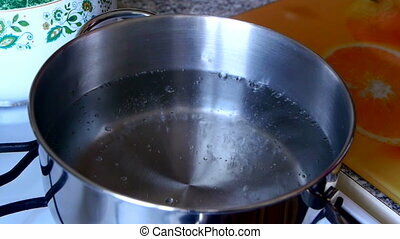 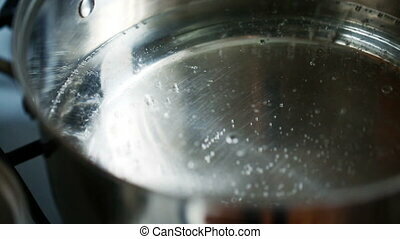 Boiling water in a kitchen pot as a symbol of cooking or food preparation and sterilization of contaminated tap water for healthy pure drinking liquid. 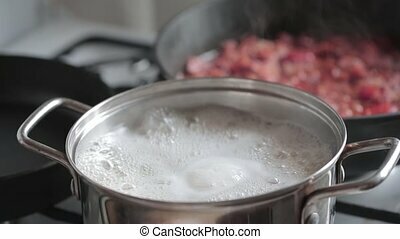 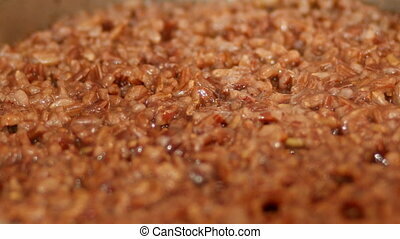 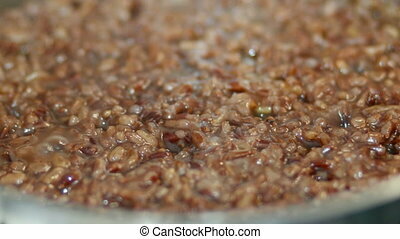 Red rice is boiling in a pot of water.